"Independent film" has become an amorphous and protean category that's truly hard to get one's hands on. These days, amidst the hype and spin, what constitutes an independent film? For my money there is no greater demonstration of the independent filmmaking spirit than a quiet two-character study called The Dogwalker, directed by Jacques Thelemaque and starring real-life partner Diane Gaidry as Ellie Moore, an abused young woman who flees a destructive relationship and subsequently experiences transformational adventures in healing through her conflicted friendship with a misanthropic dogwalker Betsy and the many dogs she manages. 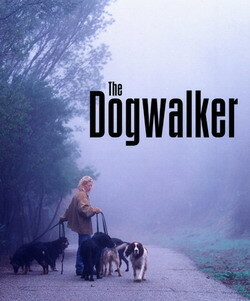 Not only was the production of The Dogwalker independently financed over an arduous eight-year period, but it is now being independently distributed, opening Friday, August 11, in the Bay Area at the Opera Plaza in San Francisco, the Shattuck Cinemas in Berkeley and the Rafael Film Center in San Rafael, and then in Los Angeles on Friday, August 25, at the Laemmle Music Hall. For anyone who loves the underlying philosophical principles of independent film, this is a film that should be supported. It's quiet, reflective, tender, and solid. Time to put your money where your mouth is. During a recent visit to San Francisco, I had the opportunity to hook up with both Jacques Thelemaque and Diane Gaidry in the SOMA district to discuss the film. Michael Guillén: The Dogwalker took six years to get off the ground. That's quite a testament to the perseverance of an indie filmmaker. Why did it take so long to make your film? Jacques Thelemaque: It probably took us closer to 8-10 years from the time we conceived it to its coming to market. That included a lot of time trying to raise money for it. I had written a script for Diane for a completely different movie but she didn't love the character I had created for her. It was a situation we were not familiar with and she said, "Why don't we write something that's a little more intimate? A little more the world we know?" She was walking dogs at the time and I was about to start walking with her, working for her. We decided to do something about dogwalking. It evolved. The initial story was much lighter in tone, not really about all the issues that eventually found their way into the film. It was going to be more about dogwalking and the crazy, zany things that go on. But that's not who I am as a writer. I started trying to find what the dogs meant to me, what they would have meant to these two characters and started looking for the issues that these characters were going to have to face. It became what it was, with a lot of help. MG: Diane, what drew you to the script? Why was this a script you liked? Diane Gaidry: Jacques and I have done a lot of shorts together and I love working with Jacques. We've built a strong working relationship. As Jacques was writing, we workshopped the script with Pamela [Gordon], the other actress. We'd shoot scenes. There's so many things about this project that I loved, that were so wonderful just in developing it, working with Pamela; she's such a joy to work with. Working with all the dogs that I used to take out. Jacques wrote this script with me in mind so it wasn't a huge stretch. He played to a lot of how I am naturally. Not that it's biographical or autobiographical. He's never hit me. MG: I'm glad to hear that. That was painful to watch in the movie. Diane: It played easily into something that I felt I could bring my energy and strength to. MG: It's a natural performance. In terms of choice of material, it was a perfect script for both of you as actresses. Your dynamic was natural, low-key, and yet disturbing, like an ominous rumbling the whole time. I was struck by the underlying theme of the sociology of women's anger and how you used this metaphor of the dogwalkers or the dogwalking community to express that. How did you see that socialization of feminine anger? Jacques: Diane and I had talked about it quite a bit. Anger is an issue that I have. I grew up in an environment where there was a lot of violent energy. Not dramatically so but just in the way people expressed themselves, the way they handled problems, the way people were disciplined in my family, and my friends and everything. So there's a lot of rage issues and anger issues that I'm exploring. The way I process my anger is similar to the way women process their anger, the way they're socialized to process it. They're not encouraged to go out and smack somebody if they're pissed off. They're socialized to process their anger in more complicated ways, sometimes internalize it, and that's the way that I dealt with my anger. I find the way that women deal with their anger—in general, I'm generalizing—it's much more complicated and interesting for me than the way men process their anger. I wanted to explore that a little bit. MG: One of the film's most upsetting scenes is when Ellie arrives in Los Angeles, beaten up by her partner, and she approaches these street kids to get a little bit of pot and then they beat her up and steal her purse. I was frustrated when I watched that. I thought, "Is it them? Is it those kids processing their anger by trying to dominate and being powerful, what they think is powerful, or was she just being stupid and careless?" What I liked about your performance, Diane—and why it was such a good counterpoint to your fellow actress Pamela—was that you were so afraid. Ellie's fear, her hesitancy, is palpable. I was taught early on that disaster rides on fear and that—if you want any kind of street cred—you cannot be hesitant. You must be assertive. Ellie's character arc from this frightened individual to someone who finally had some kind of center and something to do in life was moving for me. Was that difficult for you to effect? Diane: Ellie had fear, but it was like a deep insecurity. She had no base. She had no center. She didn't even have much of a sense of her self. It was difficult for that person to navigate in this big, scary world. MG: Is that why she kept trying to establish relationships? I was so glad when she decided to have an apartment on her own. But up until then, I kept thinking she kept trying to find someone to lean on. Jacques: Yeah, and that was actually a conscious point in the story we talked about as well. Ellie has no center. She would try to find it through other people and situations. Diane: She had no confidence that she could manage on her own and, therefore, she would repeat and revictimize herself by going to what she knows. Jacques: She has a lot of anger but she's internalized it. She's pointed it back in towards herself. She manifests stuff in the world like the boyfriend and other abusive relationships and running into this gang of guys selling drugs. Just putting herself in situations—like the guy who picks her up—where she's being victimized. But she's driving that on a certain level until she reaches the point in the story where she's just not going to do that anymore. MG: Driving it but also weaning herself away from it. MG: Every now and then Ellie would make decisions that, as an audience member, I was like "Yes!" When she wouldn't stay with the guy because he wouldn't give her the money beforehand and she had the good sense to leave. I was pleased to see that. I've done a lot of seminar work here in San Francisco with battered women and women seeking empowerment and one of the themes that has come up a lot is this debatable one: do victims attract people who want to victimize them? Who starts it? It's like a chicken and egg thing. Who starts it and where does it come from? I was disturbed that Ellie clearly had repetitive abusive relationships. With the film are you hoping to reach an audience of similar women or make some statement about such abuse? Diane: In the past at festivals people in the audience have come up to us afterward who either work with women who have experienced domestic violence or some women who have personally experienced it. They've said that the spirit of the film is ultimately hopeful at the end where Ellie's not Wonder Woman but she's got a little bit of a clue. MG: What's hopeful is her basic interaction with the animals. You make reference to the "inner dog." And you make a clear distinction that the cliché that men are all dogs is unfair to dogs. 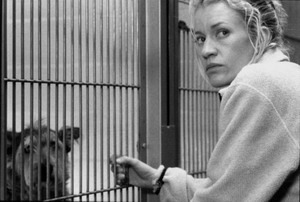 The scene where the empathic or the psychic tells Ellie what the dogs think of her was interesting—and I felt she was right—that these animals would know if Ellie would be able to control them and they would mess with her a bit to test her. Diane: That came from our own experience. MG: That is true? That's something you have found in your dogwalking? Jacques: There's no secret that we actually believe in pet psychics and have used them in the past to great effect. MG: It was an important plot point in this film. The actress who played the pet psychic, Lisa Jane Persky, can you tell me a little about her? Diane: Yes. Lisa Jane, she came to us through our friend [John Nielsen] who played the creepy guy who picks Ellie up. MG: He always plays creepy guys! I've seen him before in other movies. Jacques: He's actually a great guy and, frankly, he helped cast a lot of the movie. He knows a lot of amazing actors and—whenever we were stuck—he'd say, "I know somebody! Let me call 'em!" and, boom, they were there. Diane: Because we live in L.A. and everyone we know knows actors, we didn't want to go through a casting process, the traditional casting directorial process. Partly because I hate that process myself so I don't want to subject other people to it. MG: It's a real cattle call. Diane: Yeah. I think there's a lot of interesting talented people that may or may not audition well. So we know a lot of actors and we know actors who know actors. For this particular role, Jacques had written it for a close friend of ours who is not an actor but she's got this really great energy—she was a filmmaker, she was a director, she writes mostly now—and she wanted to do it but I think she was ambivalent about it. Jacques: The demands of the shoot. You got to be there every day at 6:00 and you may sit around all day long until we can get to your scene, even though we thought we were going to get to it earlier, all that she just didn't understand it, had gone through it and was frustrated by it, and so we could see she wasn't enjoying it. We thought, "Maybe we should get a professional actress." She was cool with that completely. Lisa Jane was a friend of John's. Diane: She came in like a day before and, yeah, she was game. MG: And she was effective because she was slightly comic but there was also a saliency to her, you knew that she believed what she was doing. The film had a lighthearted side to balance with these deeper, darker issues. 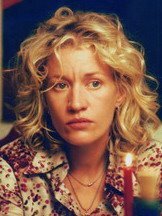 Pamela Gordon was astounding in her role as Betsy Wright and I was sorry to hear she passed a year after the making of The Dogwalker. She obviously had cancer during the making of the film? Diane: It wasn't a year. It was a little more than a year after. Jacques: However, it may have been in her system for a long time but it only became apparent because—Pamela didn't go to doctors. She lived the life she wanted to lead. She had a good time. She did a lot of work. She worked constantly in television and theater; she was a huge theater actress in L.A. But, she liked to work and she was a social animal. She loved to be out with people and doing things. She drank and smoked like a sailor and that was her life. If she didn't feel well, she just slept in. She didn't go to doctors. That's just who she was. So by the time they diagnosed her cancer, it was way far down the road. MG: So, as far as you know, she wasn't tapping into anything she knew directly about for her performance of the cancer-ridden Betsy Wright? Jacques: She was very fragile during the shoot. Diane: I don't think that she was getting any kind of treatment. She didn't tell anybody. We didn't know. In fact I was at a film festival in Minneapolis with the film and Jacques called me right after I'd introduced the film and told me that Pamela was in ICU and that they didn't think she was going to make it. This was the first we'd heard of it. She passed away the next day. MG: In retrospect I'm sure you must feel very proud that you gave Pamela this opportunity to express herself so beautifully in one final performance. Jacques: Yeah, and given the fact that she had been working as an actress since she was a child, and regularly, she'd worked quite a bit, she'd never had a starring role in a film. It meant so much to her. When we premiered at the Los Angeles Film Festival there were 600 people there, it was such an amazing experience for her. Diane: She was a celebrity in Los Angeles. She had such a following for her theater work. We're proud but we mostly feel fortunate to have been able to work with her. MG: For a film like yours that has had such a long successful festival run—you won Best New Feature at Cinequest back in 2002—I imagine you must be relieved and excited to finally have the film enter distribution. What did you gain from that lengthy festival run? What did that give you? Were you looking for a distributor? Jacques: Yeah, we were looking. At first we had a traditional approach to getting this film out in the world. We wanted a big distributor to pick it up or hoped that would happen and it didn't. MG: Who has picked it up? Jacques: No one, actually. We've taken a very novel approach. Just as we raised money for its production, we found money for its distribution. We put together our own team of really amazing people. We know enough about how it all works that we knew what we needed to do. We had our own ideas about how it should go versus the way we see it go with a lot of independent films and we're able to test our theories now. It's an exciting process for us. MG: You two are running the Filmmakers Alliance. Can you speak about that organization? Jacques: Sure, it's a concept that Diane came up with one day sitting in traffic. Diane: It's 13 years old. Jacques: She said, "We've got to start this collective. I have this vision of how it should go." We got some people together, some friends of ours who were in the film industry, they'd maybe gone to film school, they were involved in filmmaking but not making their own films, certainly not making the kinds of films they wanted to make. We thought, let's build a little community and support each other in making anything. What can we make? What can we afford to make? What kind of tools do we have that we can share? Who has a camera, whatever, and it was very basic like that. So we all worked on one person's film. Then we all worked on another person's film. Diane: A lot of the stuff we made early on was really silly. Jacques: It was more like, "Let's just do this!" Diane: But we learned so much from just continually making stuff and working with one another. Jacques: And being involved with each others' films. I would have learned things working on your film and you would learn things working on mine. We were just productive and that attracted a lot of people. So then we had to develop a structure for dealing with all these people that were starting to join eventually—at one point we were up to 500 members—so we had to create a structure for that. We also had to think about what are we really about, especially as digital tools made it more accessible for people to make films. So we all can make films now. Diane: In Los Angeles there's a bunch of different film organizations. Some of us are doing the same things in a way and—although as organizations we collaborate and support one another—about a year or year and a half ago I looked around and thought, "Why are we doing this? What does Filmmakers Alliance do that doesn't exist in other organizations?" What I saw is that we have a real community. It's not a networking organization and it's not an umbrella organization. It's a real community of people who support one another from concept on through distribution. Not only do we support one another by getting in there and lugging cables, but by reading one another's scripts, by challenging one another, by holding one another to a standard and not letting one another get away with the things that one can get away with if you don't share it with your peers and have people there who are talented and striving and who want to see something better in the world. MG: So it's a truly collaborative aesthetic then that you're aiming for? Diane: No, the collaborative and the collective is the structure, but the idea is that we nurture one another to bring out the best of what that individual has to say, what only that filmmaker can say in only the way that that filmmaker can say it. 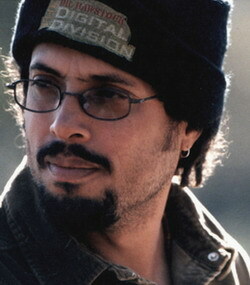 It's not like we're trying to make one another make the film that I would make or Jacques would make. Jacques: We don't want to homogenize the aesthetic; we want to do the reverse. We want to say, "Okay, why are you making films? Why do you need to be making films? What is special about your voice? Now let's bring that forward. We're going to challenge you to bring that forward." MG: It's intriguing because it sounds like you're in the belly of the whale. Or, maybe a better metaphor might be the sand in the oyster producing a pearl down there in Los Angeles. It's admirable. Are comparable collectives like this being done in other main filmmaking venues? Jacques: We think maybe there's probably a couple in New York. We don't really know actually. We don't really know what's out there. We've reached out a little bit to see what's out in the world but we haven't found anything that's quite the same model. Our twin goals are to create community and to build this idea of collectivism and feeding from that energy. But also for people to be telling their own personal stories, to inject their own vision into their work. A lot of the other groups don't have those same focuses. A lot of them tend to try and help people make films better in a more traditional way, using more traditional structures, and get "successful" within the system. Even independent film organizations like IFP are like, "This is how you can create independent films that will get you a job at Paramount Classics or get your film sold at Fineline. Forget that. If that happens, fine, whatever. If you want that to happen, great, but the idea is for you to have a life for yourself as a filmmaker now today and to make the kind of films that you want to make at the level that you can make them. MG: Do you endorse experimental filmmaking or is it primarily narratives that you're going for? Jacques: We endorse every kind of filmmaking. Whatever it is that's organic to the filmmaker. Whatever it is that's the type of film that they want to make, the energy of the film that they want to make. We have filmmakers who are very experimental in their approach to filmmaking and some that are way more traditional, some that want to do animation, people who focus on documentaries, people that do a little of everything. MG: I checked Filmmaker Alliance's website but it didn't have any clips. I know you've done Egg and Transaction, shorter films that have received favorable festival feedback, where can people go to see them? Jacques: They're going to be able to eventually see them on our site. That's an interim site. We're rebuilding it. Some of them are on Google. Egg is on Google and it's on IFilm. Diane: We need to build our links to specific members' work and also we want to have a lot more links to other organizations within Los Angeles that focus primarily on experimental work. I'm sure there's others in the country. Like there's the L.A. Film Forum, and Echo Park Film Center, and our friend Joel who lives up here runs Microcinema International, that's another great distributor of experimental shorts. MG: Rust is your next film you're working on? Can you talk a little bit about Rust and what you're hoping for? Is it going to take another six years? Jacques: Hopefully not. It's going to take a couple of years because we're not even going to shoot it for a while. It needs to be shot in the Fall. The look of it is very affected by the weather. Jacques: We won't have it ready for this Fall so we're not going to be able to shoot until next Fall, so it's already going to take that long. But it's a much more complicated film. It's denser, more novelistic, than The Dogwalker. It's basically a famous actress on the downside of her career who goes back to a small city where she left when she was 16 years old and hasn't been back to since. She goes back for the funeral of her father who may or may not have been involved in a racially-motivated killing. She's going back to discover her own path, to reconnect with who she really is and who she was versus the fiction that she's created for herself and for others throughout her life. She takes that journey through an investigation of both her father's past—and whether or not he was truly involved in this event—and her own traumatic event when she was 16 that basically made her run away that she hasn't ever resolved and needs to come to terms with that. MG: Are you going to be in this one, Diane? MG: Good! I admired your acting. You're shy in person it appears but actually—even though you were shy and frightened in The Dogwalker—you have a large presence on camera so I hope to see more of your work. What do you hope for The Dogwalker? Who do you hope it's going to reach? Jacques: Basically our marketing demographic is a reflection of the type of people we want to come and see it; people who are reflective and thoughtful, who are going to respond to the emotional energy of the film. I'll honestly say I don't think Dogwalker is aesthetically challenging…. Diane: Not as to form…. Jacques: …but I think it's personal. Jacques: It's an emotionally impactful film that deals with issues—without hitting people over the head—that are important issues. MG: And subtle ones. The final image that I came away with—and why I was hoping I would get to meet your dog Loser today—is because Loser keeps showing up in the film and this means something to Ellie. Loser keeps looking to Ellie to understand that he's waiting to be claimed, and Ellie finally does claim him. 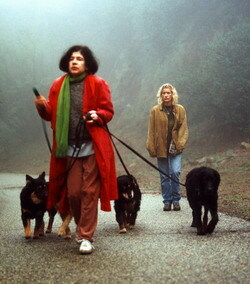 Diane: Ellie is rescued by Pamela and Loser. It's personal and it's impactful partly because it's so quiet. The way that Jacques has made the film allows the audience to be drawn in as opposed to dictating to the audience. We're also working with a lot of nonprofits in the marketing of the film. We're working with cancer relief organizations, and womens organizations, and domestic violence organizations, and of course animal rescue organizations. It's not necessarily a message film. We're not trying to tell anyone anything. But I think the film can be cathartic. I think we're all struggling. Like you say, you were taught to be confident and not show any fear; but, none of us are like that inside necessarily. MG: And even if you are, life can still knock you down. MG: You have few voiceovers in the film, which I appreciated. I liked that Ellie's reactions are vague and inchoate, they're not obvious, and so the audience is forced to invest hope that Ellie will come to an understanding of herself. When Ellie does, or when the audience begins to sense that Ellie will find her path, it's very gratifying. It's a positive film that way. Jacques: Thank you. I'm hoping people will feel that way. Our marketing person that we hired was trying to identify the audience for the film. She said, "I think this film will speak powerfully to—for lack of a better term—the healing community." And I liked that she said that. The movie is about healing for me, especially through Ellie's character. She doesn't become Superwoman. She just heals a little bit and moves a little further along in her life. I would like that to encourage other people. You don't have to become a big shot or a king pin. It's just about…. Jacques: Yeah, surviving, and taking those key steps toward being at peace with yourself and the world around you. MG: Well, I thank you both for your time. I appreciate it. The Dogwalker is a solid, lovely film. I'm glad I had the chance to watch it. I wish you luck in its independent distribution. A lovely interview! I really like how you manage to...bring a spirit, your spirit, to these interviews. And that's very important. It is always exciting to read a piece of..not work, but love...genuine love for the medium and the people you interact with. And that's the way to bring the best out of them too...and the result is very humane. What a wonderful response, Marina, thank you. And your inquiries are interesting. I watched "Egg" today on IFilm and kind of had the same reaction you did: Diane's vulnerability plays against the anger of her characters. But I think that's what they're getting at in terms of the socialization of women's anger and, as Jacques intimated, his issues are comparable. I think you might be right that Jacques is having Diane express his anger for him, but, she seems willing to do so and they seem content with the mutuality of that expression. It would be interesting to see how Jacques' anger would look on the other side of the lens, eh? I really like how you connect the 'vulnerable anger' with the 'sociological anger' and at first glance it does look plausible. However, what Jacques overlooks here, I think, is that it is all about women's anger. There is no general pattern, but from myself and friends' experience I know that [most] women react "non-menly", non-expressively. In fact, it is almost always like: "Keep it secret. Keep it safe." Women's anger is an inner, deeply personal mood that rarely vents itself out agressively. On the contrary, it is self-agressive, even if not consciously. I guess that's because women have got used to being/trying to be/look strong and by shutting themselves out, they don't realise they're destroying and not strengthening themselves. She was spooky in "Egg." I actually appreciated her venting there. None of that is in the character of Ellie in "The Dogwalker." Ellie is nearly beaten into submission when we first meet her and her flight from her abuser seems more like an animal desperately trying to survive. I wish you could see "Dogwalker". I would love to hear your thoughts. Hopefully, it will eventually be available on dvd. I suspect its theatrical run will be limited.